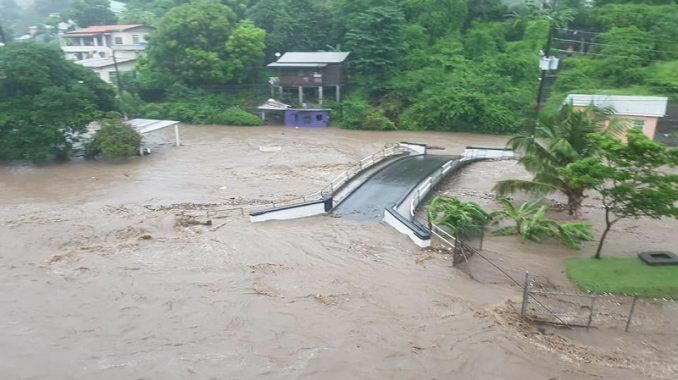 ST GEORGES, Grenada - Various parts of Grenada have been flooded as adverse weather condition from a tropical wave and the Inter Tropical Convergence Zone (ITCZ), continues to affect the extreme Southern Windward Islands. The active system continues to dumped have heavy rains across the island. Heaving flooding has been reported in River Road and Queens Park, as a result of continuous rainfall and the St. John’s River breaking it’s, banks. Grenadian media have also reported heavy flooding in the woodlands junction area. SVG met office in its midday report said that the island can expect scattered showers and isolated thunderstorms from the tropical wave.